For those of you readers not fortunate to live on the West Coast, were wineries are not only plentiful, but most excellent, I have an experience to share with those living in the North East. With Spring and the Summer months really just around the cornet, I’m sure many in the frigid Northeast states are dreaming of summer months on the beach, perhaps on the Cape. We,, here’s an adventure you might look into this year. Sailing out of the Falmouth Harbor, Cape Cod, the 74 foot three masted schooner sails seven days a week I had the pleasure of sailing with the captain and crew for a summer sunset cruise. If you are in search of a relaxing, peaceful “wind in your hair” adventure, this is the adventure you should embark on. From the moment we left the mooring next to the famous “Clam Shack”, and set sail, I new that I was in for an adventure. My sign was the first mate taking cocktail orders from the full bar, my kind of place! 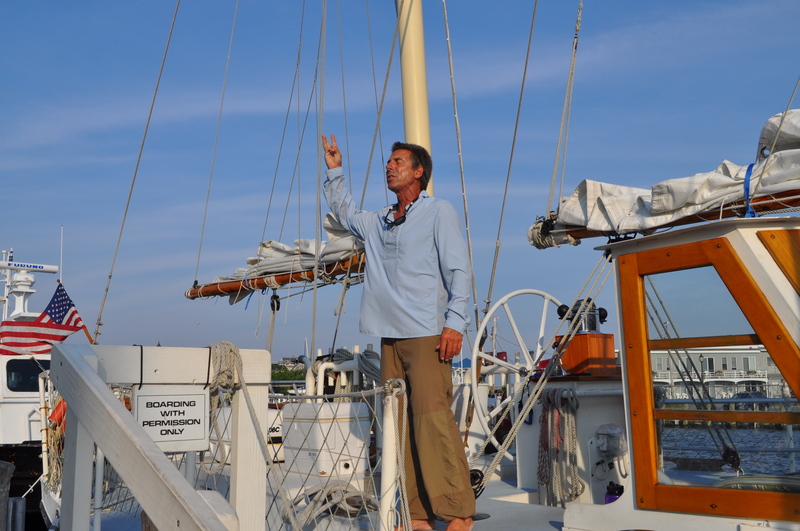 The captain and crew were nothing but social, explaining everything about this fantastic sailing vessel and her history, The Captain and owner, in fact, with his wife, had this vessel custom built to his specific plans, and they live on it full time. 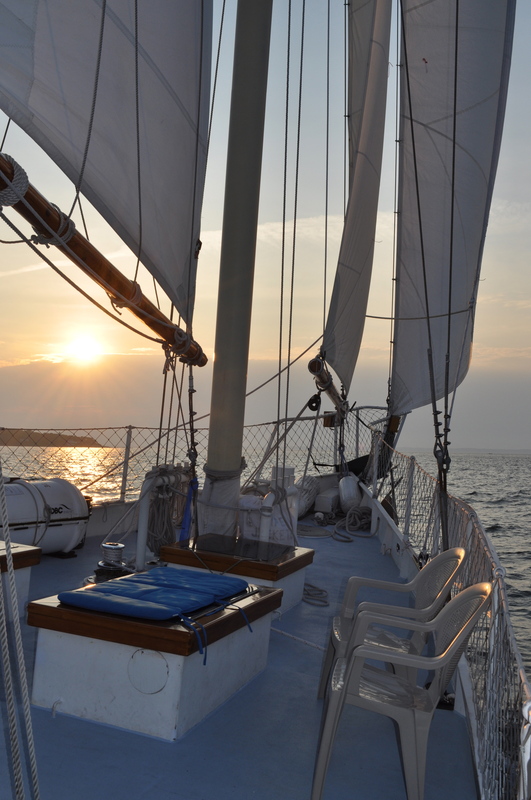 Rotating between Cape Cod and Annapolis, MD, they enjoy a very fine nautical adventure together. As the sun began to drop ever so slowly, the calming music filled the sails, and the waves gently swayed the beams in a rhythm so enjoyable, a series of visuals presented us with an outstanding sunset, of vibrant reds, oranges and yellows. It was with saddened heart, but slight smile that we turned and headed back to the docks. Ahh, the life of a pirate, living day to day, and collecting “booty” for doing what you love. Well worth the collected loot of $20, this handicapped accessible adventure is one you and the family should embark on if in town. For more info. http://www.theliberte.com. Now for my “wine story”. Wherever I travel, I always seek out two very important attractions in my oh so boring life, beer and wine. It would seem that almost every major town has it’s own brewery, and almost always entertains some super “pub food”. But, not every major town, although they try, can entertain us with their own version of “local” wine. But alas, known for growing cranberries, who would have thought you could go “wine tasting” on Cape Cod, unless the wine was imported. Not the case. 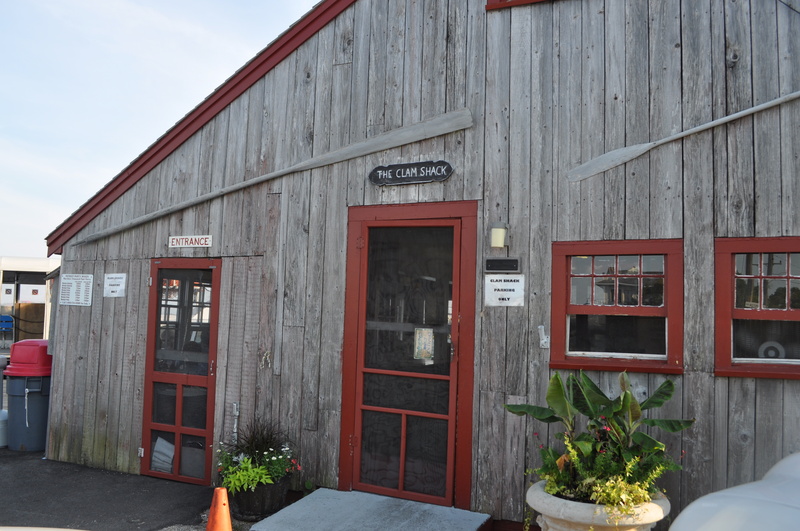 Let me introduce you to Truro Vineyards, Cape Cod, located in the town of North Truro, Massachusetts, the Capes “Premier Winery”. Now the grounds were very pleasant, and I did keep an open mind as I found my way to the outside tasting room. You have the opportunity of choosing and tasting any five of their ten wines, for only $10.00. My word, am I actually back in Napa? Ok, still smiling, I pay the lady and advance to my choices. After all, I am supposed to be on vacation. As I scanned the reds which included the Truro “Triumph”, “Maritime Zinfandel”, Cab Franc and Merlot, I decided to hold my choices for later, pending a peek at the whites, being in such a warm climate. There I found Pinot Grigio, Sauvignon Blanc, Chardonnay and Vignettes. As I worked wonders with myself, fighting back the “wine snob” in me, and accepting the usual “brandy snifter” size wine glass, when asked which I wanted to start with, I selected my safest bet, the Pinot Grigio. I found this white pleasant and quite refreshing as I selected my second choice, an un-oaked chardonnay. I always find it so very interesting and challenging, the way vines from different vineyards, states and countries, can relate so very differently. Not very impressed, I decided to move on to the reds, choosing to sip their “Triumph”, and then their Cab Franc followed by the Merlot. In conclusion, in my humble opinion, I believe their Pinot Grigio and Sauvignon Blanc are good wines to put in the refrigerator of your beach rental, to chill and enjoy after returning from your sunset cruise. As with everything else in life, your own specific taste will educate your palate on which others you might enjoy. This entry was posted in travel, Uncategorized, wine and tagged Cape Cod, clams, sailing, storiesbygary, travel, vacation, wine, wine tasting. Bookmark the permalink. 2 Responses to Wine Tasting on Cape Cod? Really? It’s great to know there’s someone informing us of the wine tastings in the east coast! My blog mainly focuses on Napa Valley if you’re interested! Thanks for the comment. I get out to East Coast now and again, looking for surprises. My wine articles are mostly Pacifin Northwest, Oregon, Washington and Canada.